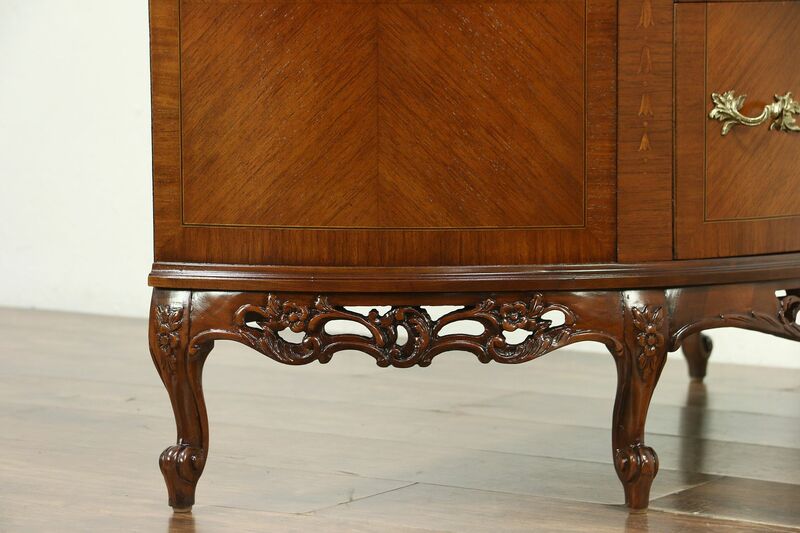 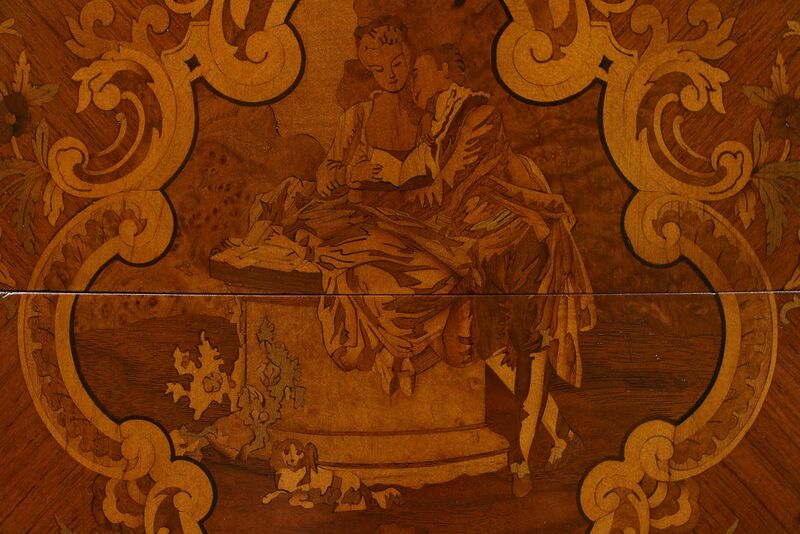 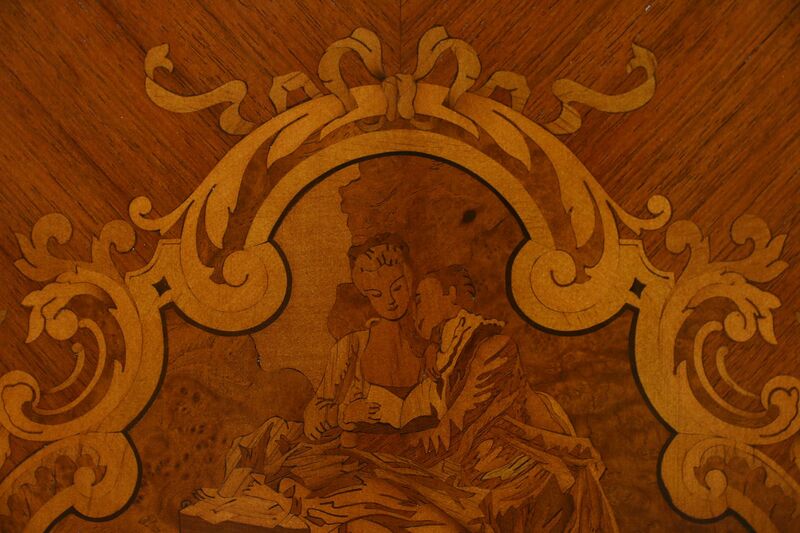 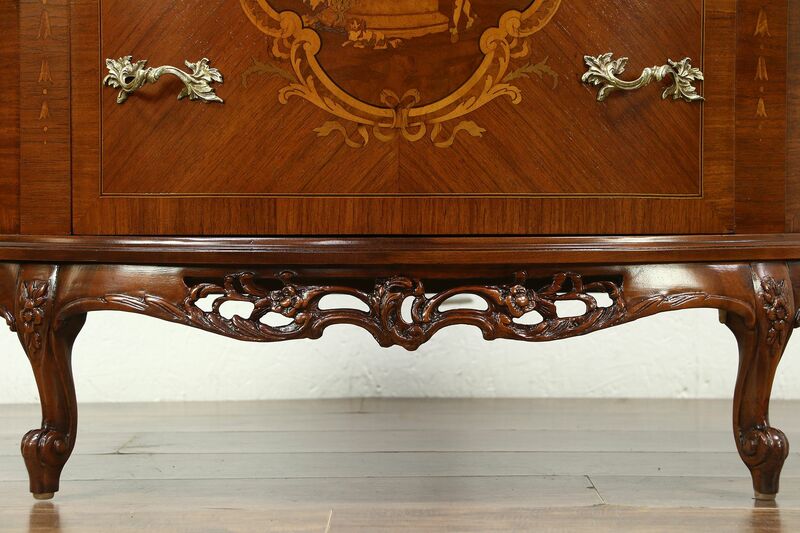 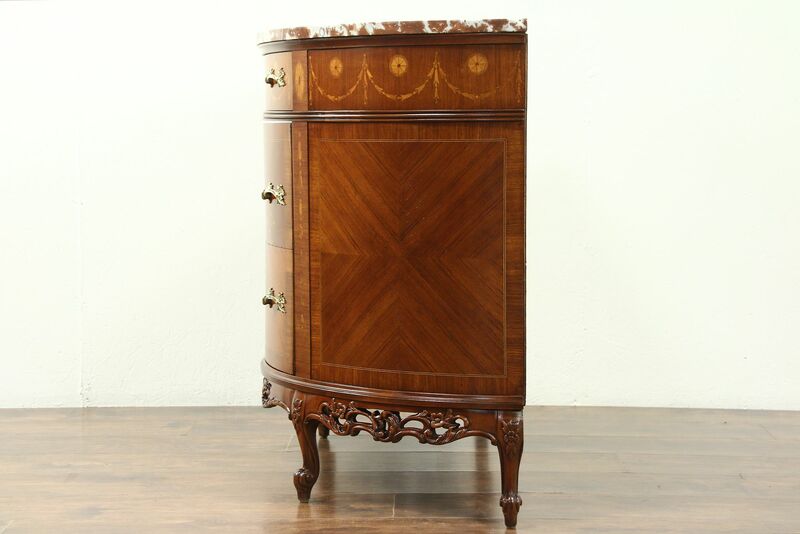 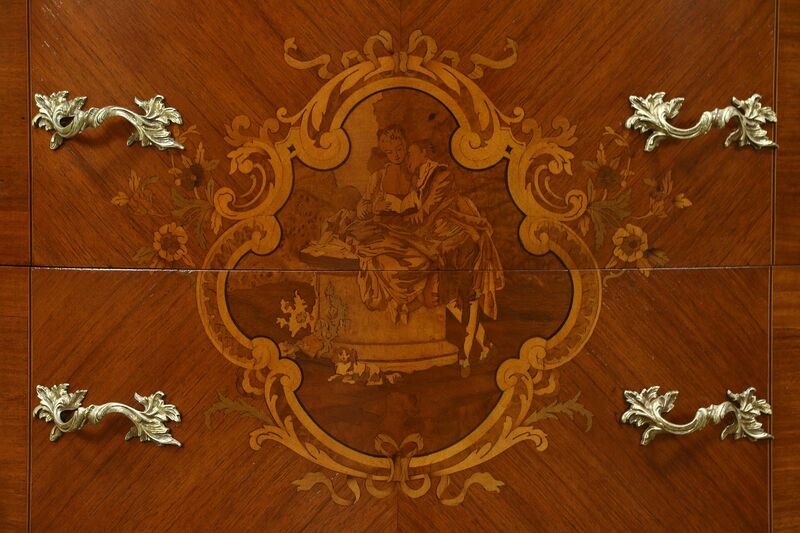 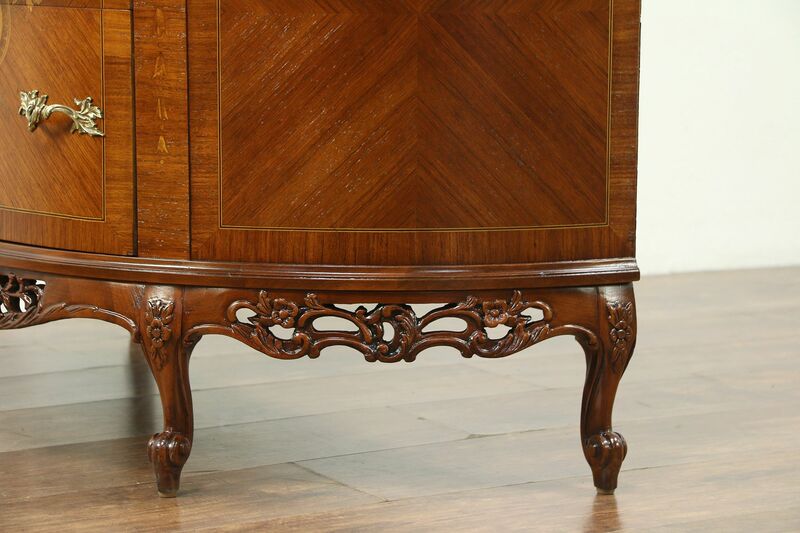 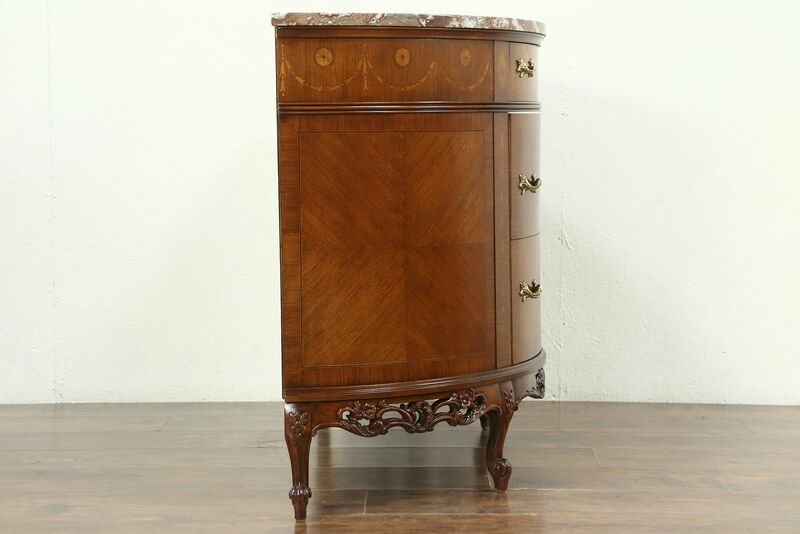 This "demilune" or half round console or chest has inlaid marquetry with a courting scene and matched banding details. 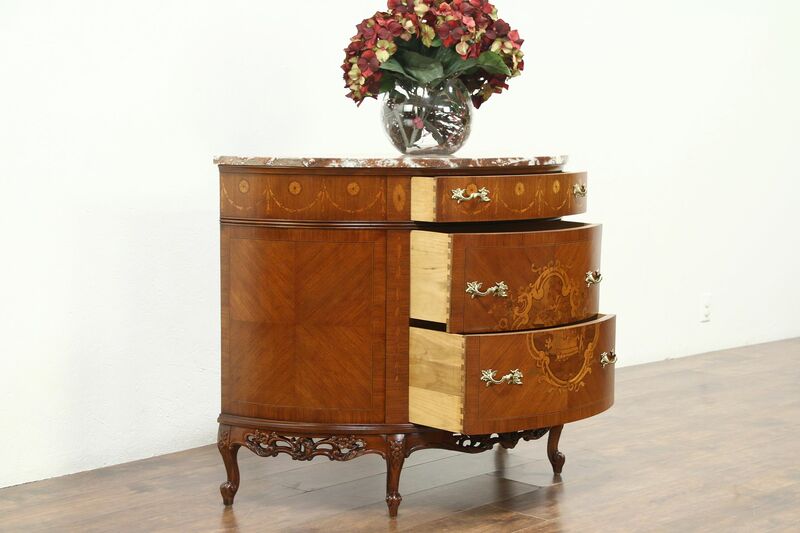 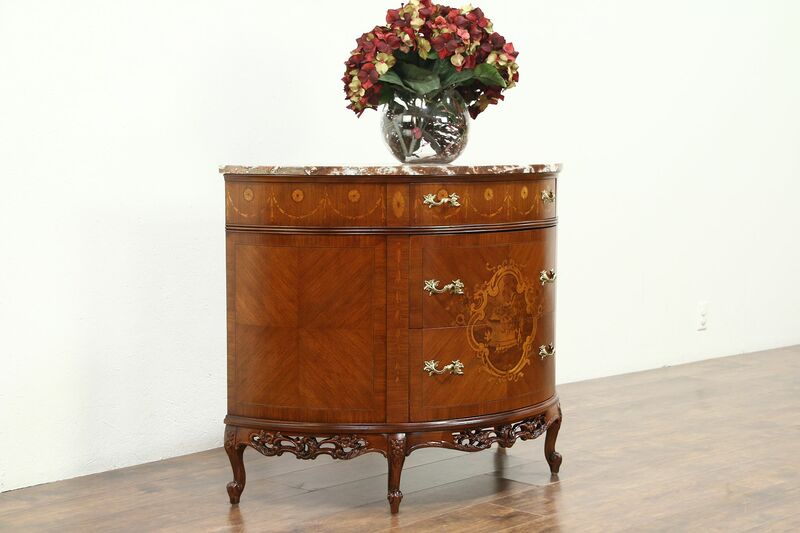 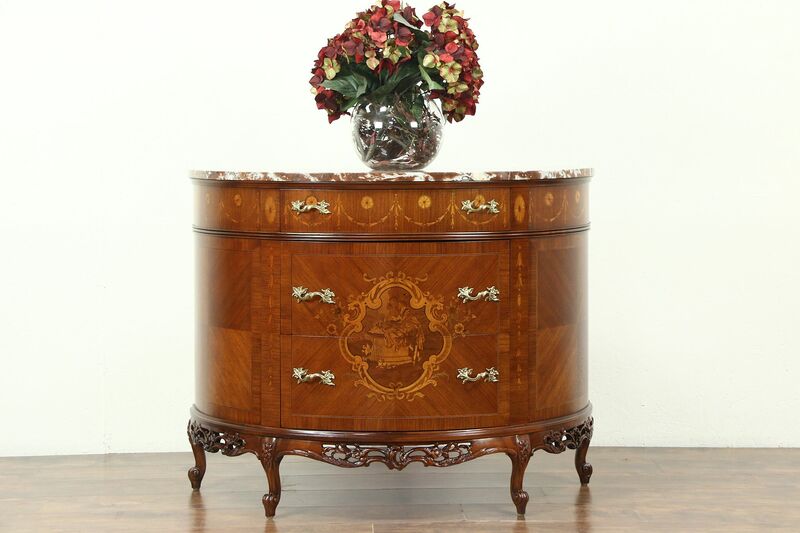 Masterfully crafted of genuine rosewood, ebony, satinwood and burl, the intricate patterns are gorgeous. 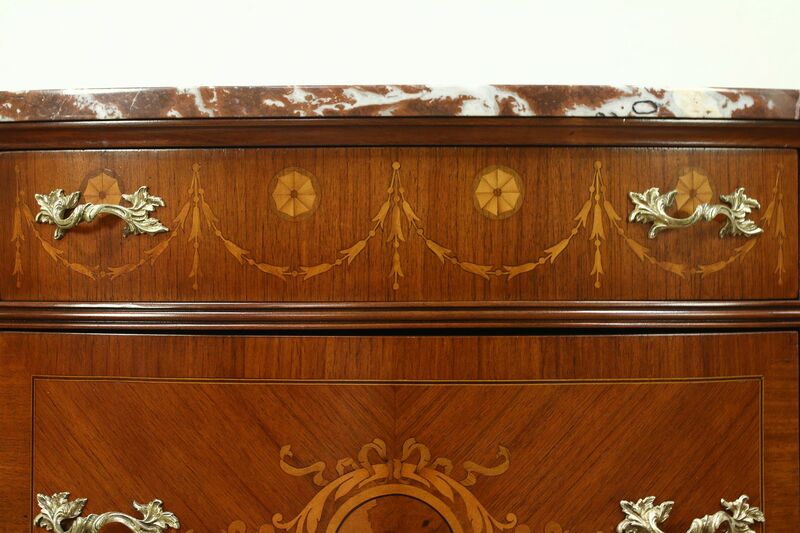 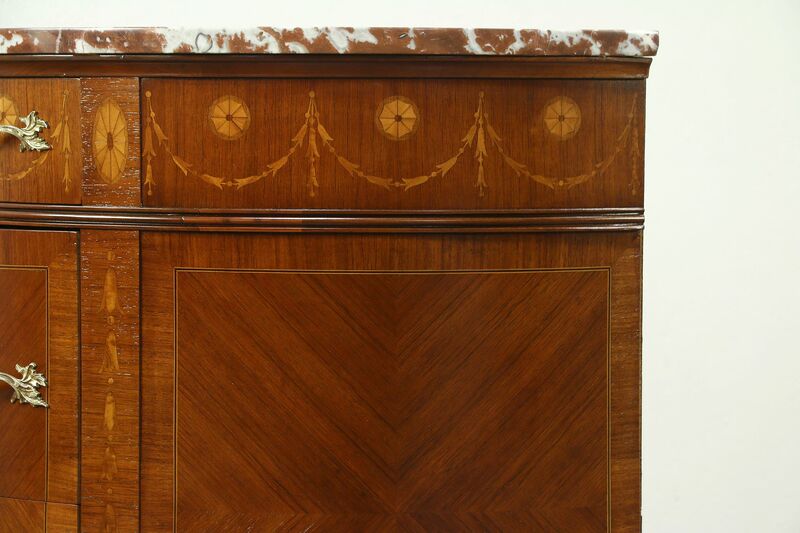 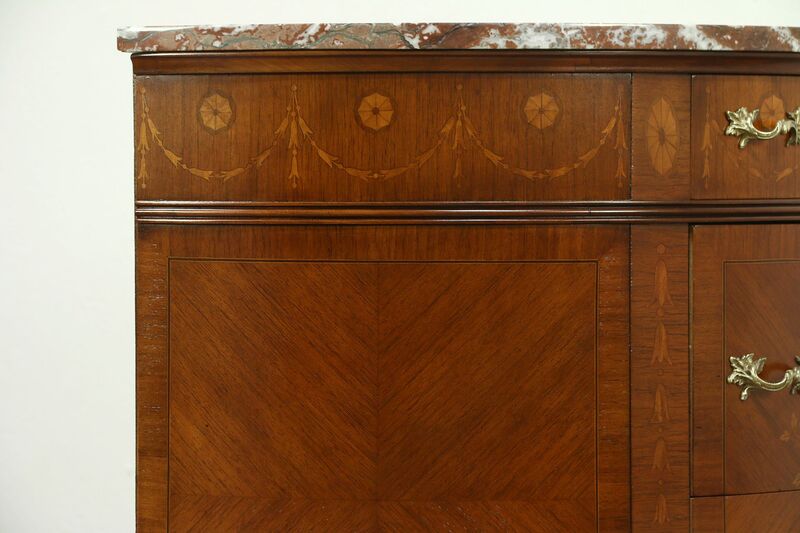 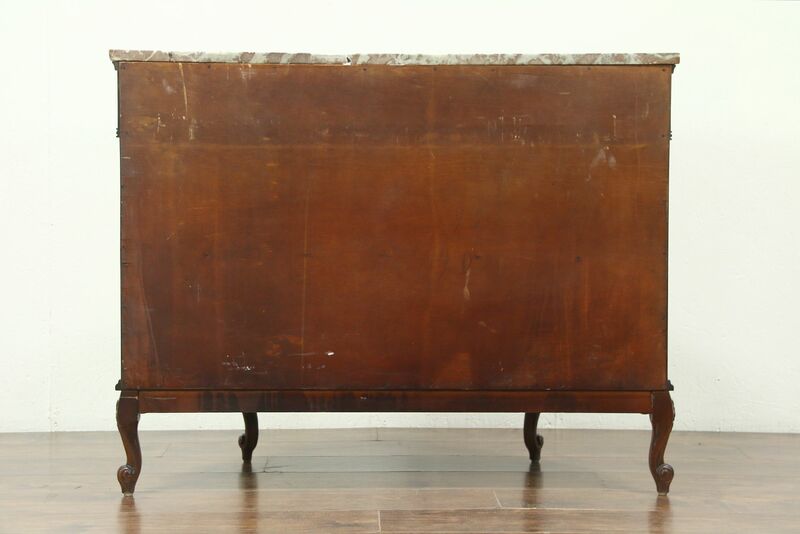 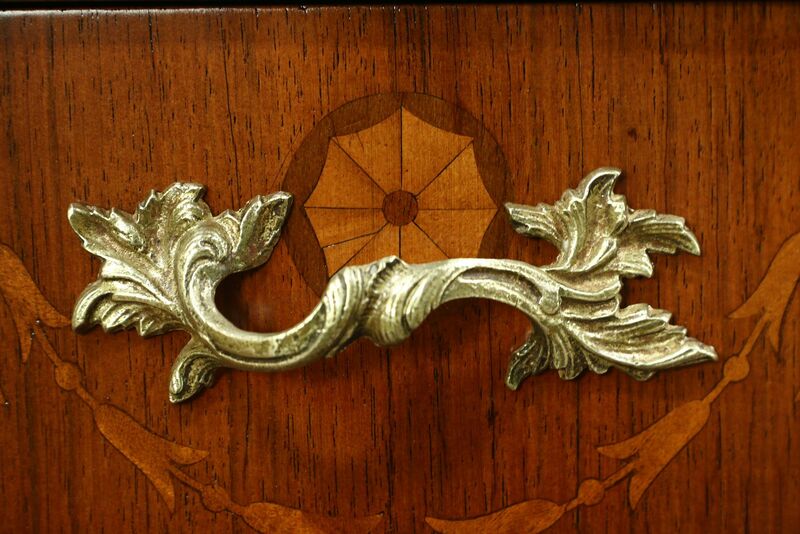 The restored finish is in excellent condition on this 1920's antique furniture. 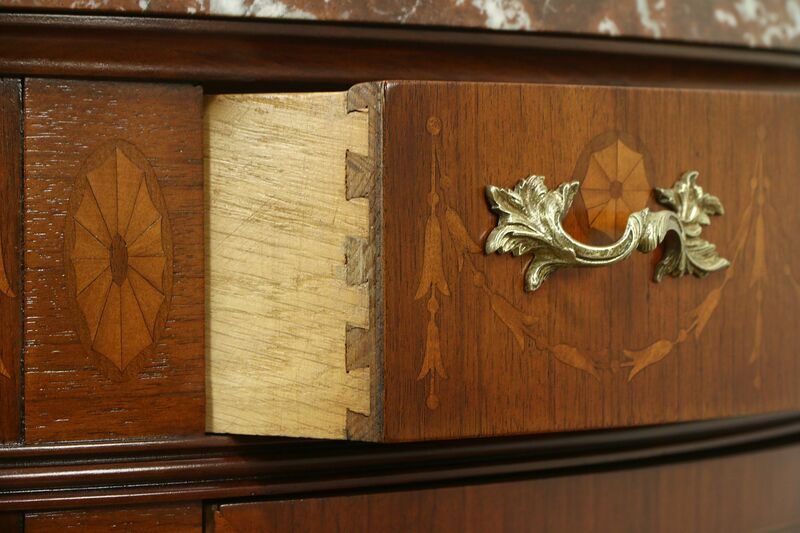 Drawers have solid oak sides with dovetailed joints and original embossed hardware. 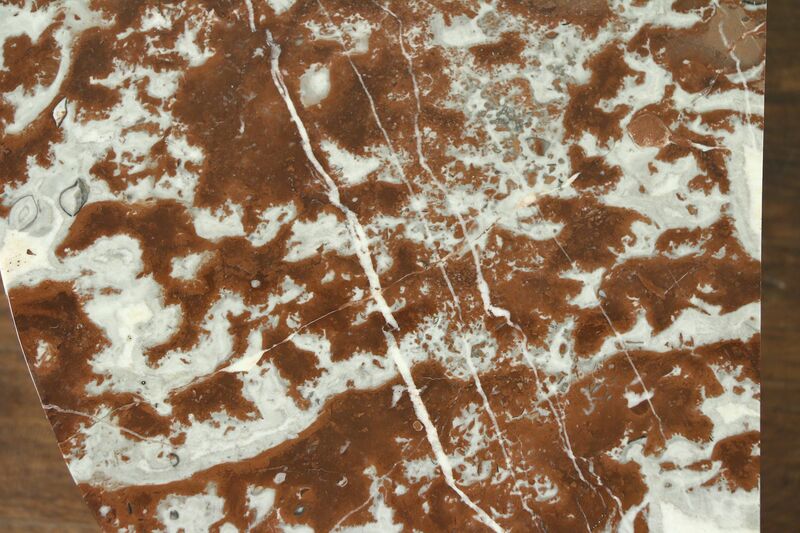 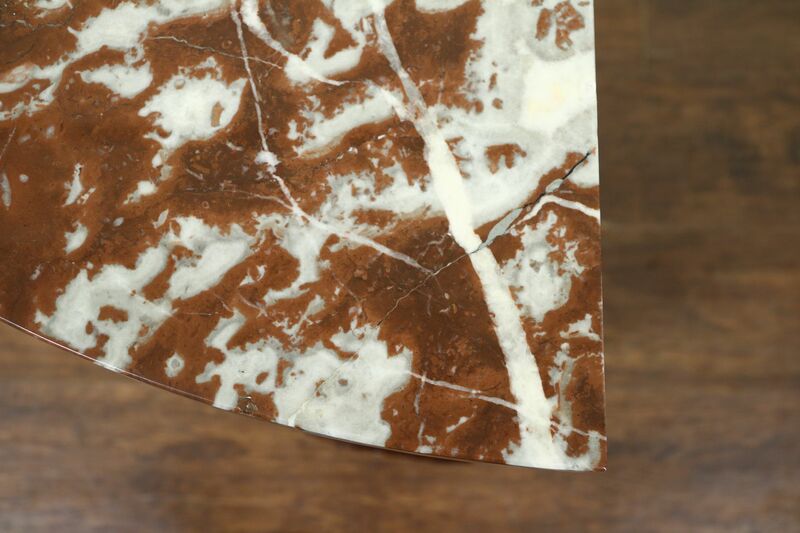 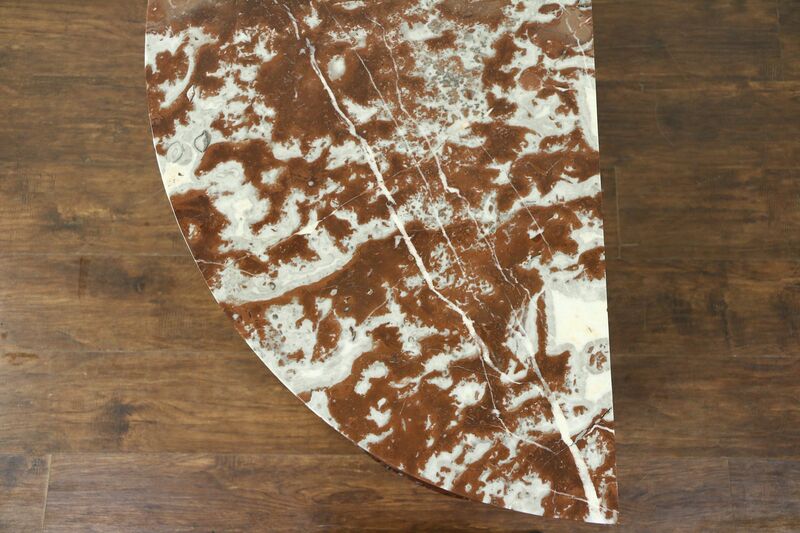 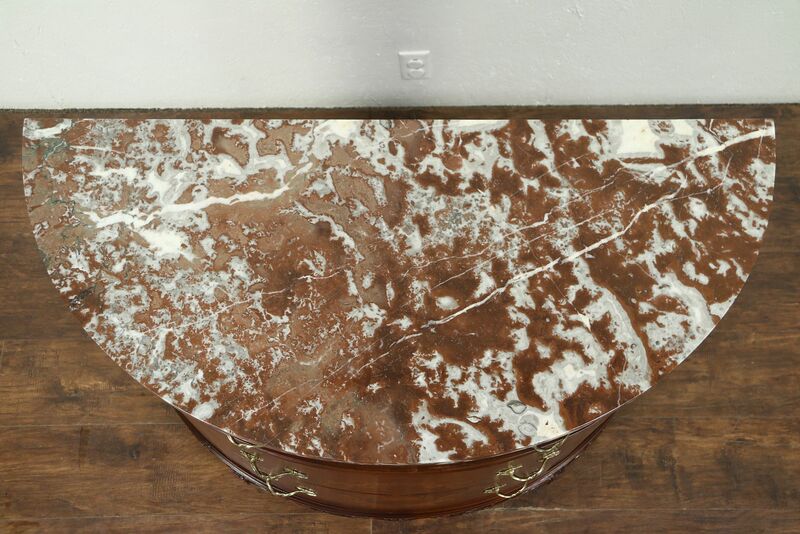 The marble has some old repairs and has been polished and given a protective finish, see photos. 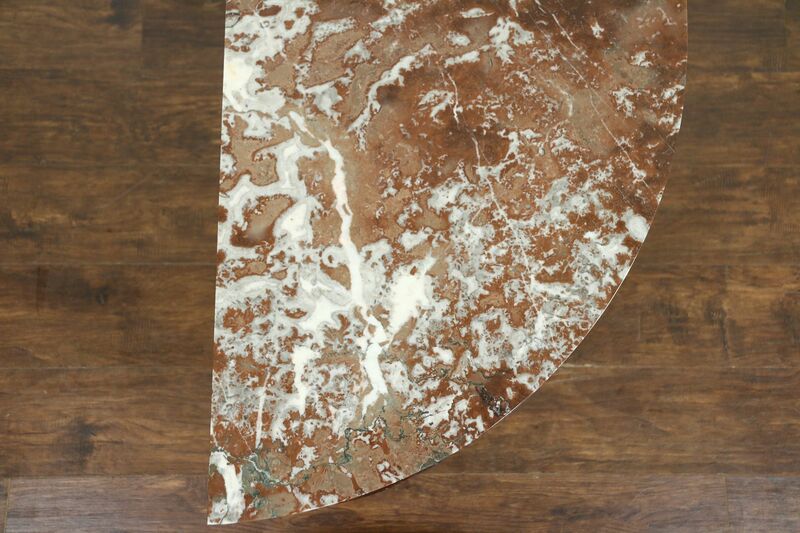 Dimensions are 43" wide, 20' deep and 34" tall.